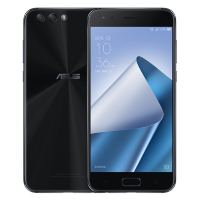 The flagship of it’s entire line the Asus ZenFone 4 Pro is a true premium device. It uses three Sony image sensors to ensure that the user gets the best mobile photography experience. A Qualcomm Snapdragon 835 Octa-core processor powers the device. An Adreno 540 GPU helps the Asus ZenFone 4 Pro with it’s graphics needs. 6GB of RAM keeps things smooth despite multiple tasks.